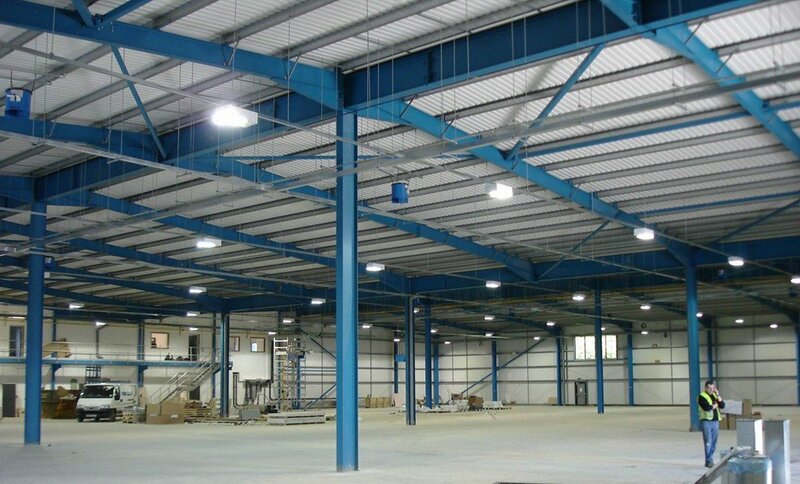 If you’re a retailer looking at steel warehouse buildings for sale or for rent, we compiled a few reasons why you will never go wrong with investing in such a pre-engineered structure. You’d soon realize that it provides you with the best value for your money. In fact, it is the most preferred choice in the warehouse service industry. Steel components dominating the framing system in industrial market with more than 90% market share and is fast taking over the commercial sector with more than 70% share. The number constantly increases. The warehousing and storage sector is growing at a rapid pace over the past few years, which in turn opens up an opportunity for metal building companies to take advantage of the immediate needs of businesses for huge spaces. According to Globecon Freight Systems, the warehousing and storage sector in the U.S. is currently worth $22 billion and employs more than 600,000 people. This shouldn’t come as a surprise as many retail companies, both online and offline, are looking to warehousing service providers to store their raw materials, goods, and equipment. The demand was tremendous that a number of warehouse spaces absorbed in 2014 surged almost 28% to 215 million sqft year-on-year. Since they are already pre-engineered, steel warehouse buildings have shorter construction time compared with conventionally-built structures. Some of the components were already pre-cut and pre-drilled for easy assembly on the job site. Other things already done off site include welding, sandblasting and painting. On the average, steel buildings can be completed at a 1,000 to 1,500 sqft daily rate. Assuming a perfect building condition, you can have your warehouse built in just about 10 days. The fast construction could eventually mean early return on investment. As steel warehouse buildings are also prefabricated in a factory, you have assured protection from costly delays brought by weather and back-ordered materials. You can actually save 40-60% on materials and labor costs. With the help of a few people, you can actually erect the building on your own. A manual is provided anyway. Warehouse buildings measuring more than 5,000 square feet can cost $7.50 per square foot (PSF). If you want a cheaper option, you may go for a Q-model Quonset buildings which are only priced at a little more than $5 PSF. You can also benefit from the fact that they are lightweight or their weight almost half of the concrete counterparts. Steel components are very versatile that they can be custom-built to satisfy your space requirements and building designs. You can easily modify, strengthen and extend them. They can be designed to support wide-span beams for wide, protected layouts and in such a way they can be easily built upon for future expansion. They can provide a 300’ of the clear span with various entry points for easy access. The height can be adjusted as well to accommodate overhead cranes used in moving large and tall items. You can also choose to attach or build a separate office building. Steel warehouse buildings can also be custom designed for a specific location where it is intended to be erected. The factors that are taken into consideration prior to design and conceptualization are your site specific snow, the wind, and seismic loads. Regardless of whether the design is simple or complex, one thing that cannot be compromised is the durability of the structure. Warehouses made from steel are very sturdy that they are able to withstand extreme weather conditions such as hurricanes, strong winds, snow, earthquakes and whatever the Mother Nature throws at it. They also reduce the chance of fire. 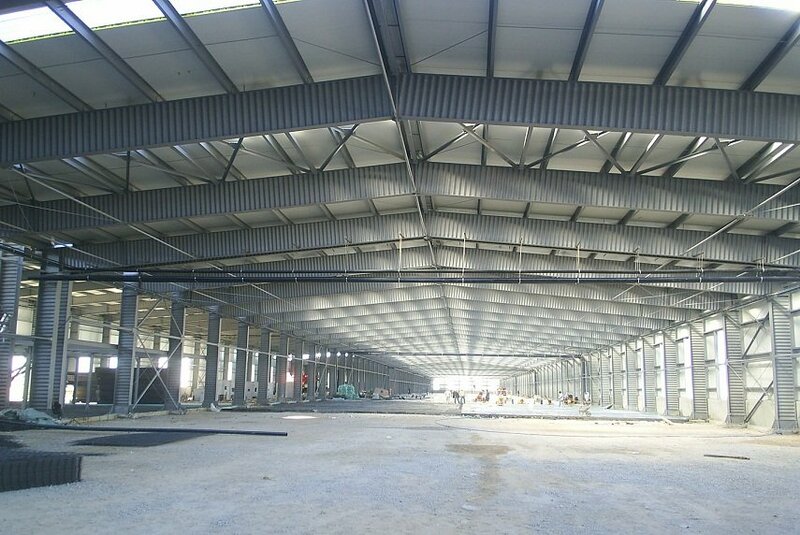 As you are able to manage temperature well with steel warehouse buildings, you do not only save money but you are also able to maintain ideal storage conditions. Since they have been carefully prefabricated in the factory, steel components are fit together seamlessly to allow better insulation and hence greater energy-efficiency. Aside from saving a huge amount of money on improved temperature and humidity control, you can also benefit from incentives being offered by local governments for sustainable practices. Building permits are also easier to obtain for more sustainable and more environment-friendly solutions. Since steel is made up of recycled materials, steel warehouse buildings have excellent LEED (Leadership in Energy and Environmental Design) ratings. LEED is amongst the most recognized certification process for more energy-efficient and environment-friendly means of operating. In fact, steel buildings generate credits in 5 out of 6 sustainability categories in LEED. What is interesting about steel is that while they can be recycled in multiple times, they do not lose their inherent strength and quality. Moreover, producing steel building components result in a minimal waste as they are prefabricated under factory-controlled conditions. Moreover, since they are already pre-assembled in the factory, erecting steel warehouse buildings only require quick assembly on site. That activity rarely produces any waste. 7. It offers huge insurance advantages. With steel warehouse buildings, you can save up to 40% on premiums. 8. They require zero to low maintenance. Owning a steel warehouse building does not require a constant work to upkeep compared with wooden structures that are more vulnerable to damages caused by natural elements. They are easy to clean and provides maximum protection from rotting, pest infestation, cracking and molding. 9. They offer single source assurance. An individual supplier usually provides warranty on the entire steel warehouse building for 25 years. Some even offer warranty package that ensures buyers would not need to pay for building repair and maintenance for up to 40 years. Steel structures have attractive finishing. You can also enhance the external appearance by adding brick, stucco, masonry, doors, windows, and more. Depending on its intended use, however, many extra additions may not be needed for your warehouse building.